While some may have predicted some surprises at Wimbledon, few could have anticipated that nine of the Top 10 seeds on the women’s side would be eliminated by the end of the first week. For her part, Kiki Bertens propelled herself into week thanks to wins over Williams and Pliskova. While Camila Giorgi became the first Italian to reach the quarter-finals since Francesca Schiavone where she pushed Serena Williams to three sets. The seeds weren’t any more effective in the top half of the draw. 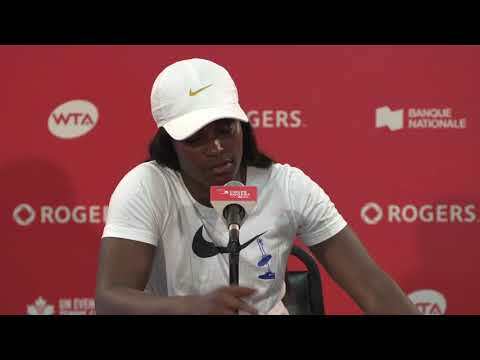 Sixth-seeded Caroline Garcia was knocked out in the first round by 2015 Rogers Cup champion Belinda Bencic who advanced all the way to the Round of 16. It was the first time since 2016, when she was ranked no. 7 in the world, that the Swiss had won three matches in a row. Bencic now finds herself back inside the Top 50 after dropping to no. 318 in 2017. Despite a strong lead up on grass before arriving at the All-England Club, two-time Wimbledon champion Petra Kvitova was upset in round one by Aliaksandra Sasnovich while defending champion Garbiñe Muguruza was sent packing in the second round by Alison Van Uytvanck. After struggling for the first part of the season, Dominika Cibulkova reached the quarter-finals thanks to the early exit of World No. 1 Simona Halep as well as wins over Alize Cornet, Johanna Konta (no. 22), Elise Mertens (no. 15), and Su-Wei Hsieh. 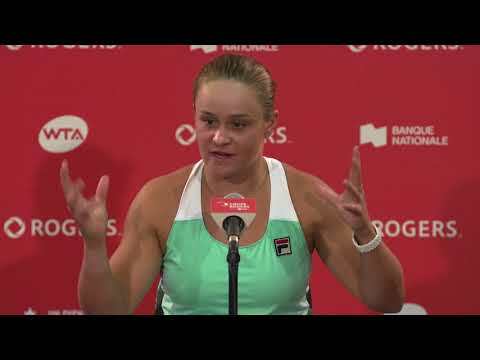 “The last ten days after brought me so much joy,” Cibulkova said after falling to Jelena Ostapenko in the round of eight. In the end, it was Serena Williams and Angelique Kerber who played for the title on championship Saturday at SW19. Williams had only faced one seed en route to the final while Kerber had played and beat three. The German made it four thanks to a 6-3, 6-3 victory to capture her third Grand Slam title and her first at Wimbledon, becoming the first German since Steffi Graff in 1996 to triumph at the All-England Club. “I knew I had to be at my very best to beat a great champion like Serena,” Kerber explained. Despite the loss, Williams, playing in just her fourth tournament since giving birth, was pleased with her London fortnight. “To all the mothers, I played for you today, and I tried really hard,” an emotional Serena said. The story of the third Grand Slam of the year was one that none of us could have predicted. Let’s see how the top players rebound during the upcoming summer hard court season after their early exits at Wimbledon.